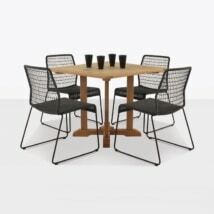 This mid-century outdoor dining set featuring our Tokio dining chairs is simplistic and beautiful. 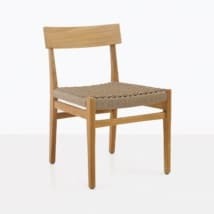 The low profile, rounded edges and materials are well balanced and in perfect harmony with each other. 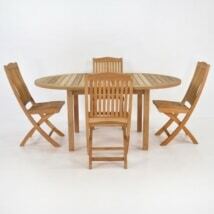 The 47″ round table and Tokio chairs are made with expert craftsmanship & a-grade teak. The Tokio seat is made with beautifully woven Sunbrella rope, so no cushion is needed. 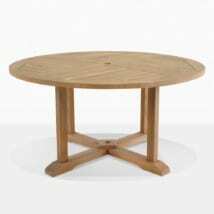 The round table is equipped to hold an umbrella. Gather four people around to share a meal in your outdoor space. Concrete bowl accessory not included. 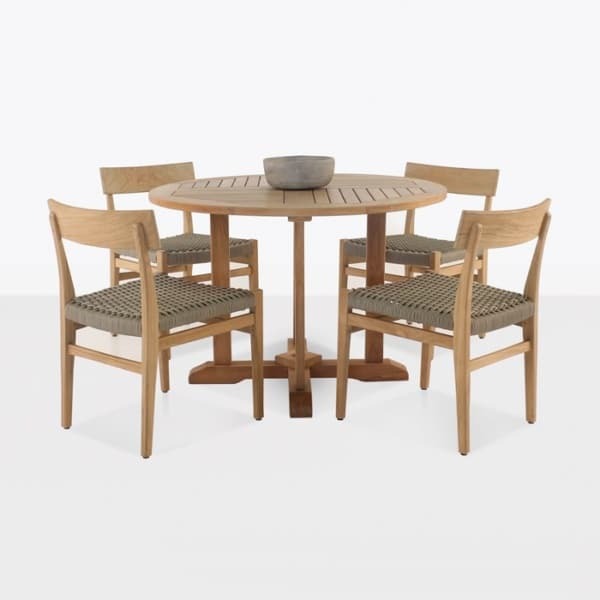 For more information on this dining set or any of our other sets, please email [email protected] or call us at 800.343.7707. We are open 7 days a week and look forward to assisting you.